Macaulayite: Mineral information, data and localities. In the type material, Fe:Al is approximately 13:1. Named in 1984 by M.J. Wilson, J.D. Russell, J.M. Tait, D.R. Clark, and A.R. Fraser for the Macaulay Institute of Soil Research, Aberdeen, Scotland, UK. The Macauley Institute became a part of Hutton Institute on April 1, 2011. A swelling iron phyllo-silicate mineral, thought to be composed of layers consisting of twelve iron-oxygen octahedral sheets (equivalent to two hematite unit cells) flanked by two tetrahedral silicate sheets, one on the top and one at the bottom. 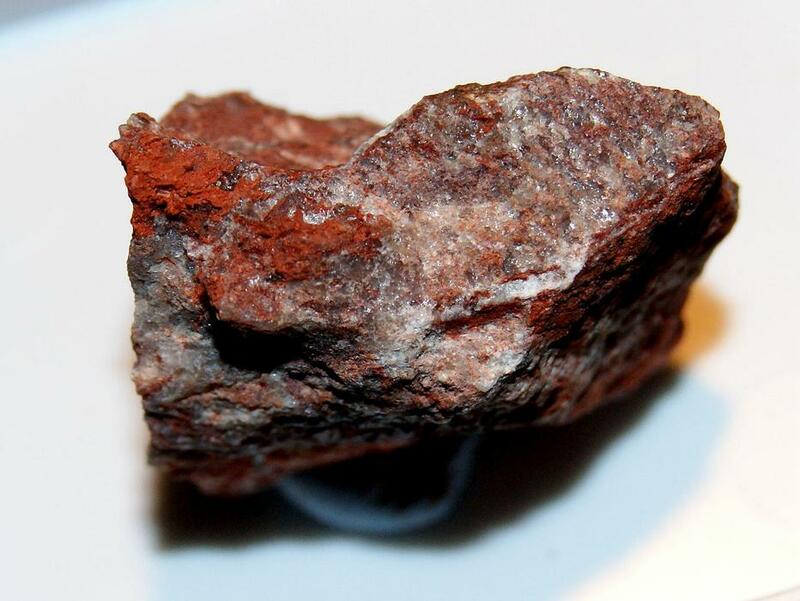 Recent research (2009) at NASA has speculated that this mineral may be a significant indicator for the historical presence and distribution of water on Mars. Royal Scottish Museum, Edinburgh, Scotland. Formed in the breakdown and weathering of granites in tropical conditions. Wilson, M.J., Russell, J.D., Tait, J.M., Clark, D.R., Fraser, A.R., Stephen, I. (1981) A swelling hematite/layer-silicate complex in weathered granite. 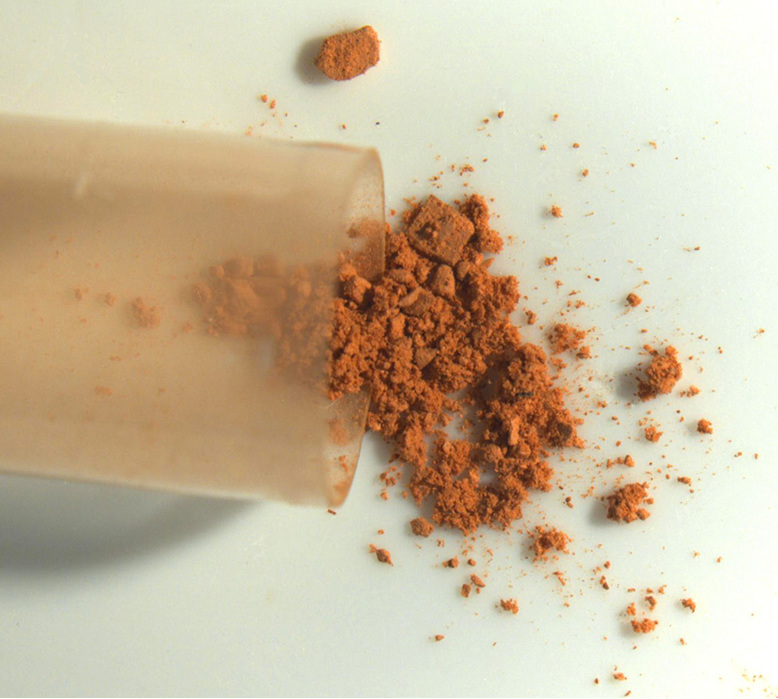 Clay Minerals: 16: 261-278. Wilson, M.J., Russell, J.D., Tait, J.M., Clark, D.R., Fraser, A.R. (1984) Macaulayite, a new mineral from north-east Scotland. Mineralogical Magazine: 48: 127-129. Dunn, P.J., Ferraiolo, J.A., Fleischer, M., Gobel, V., Grice, J.D., Langley, R.H., Shigley, J.E., Vanko, D.A., Zilczer, J.A. (1985) New mineral names. American Mineralogist: 70: 1329-1335 . Sawcer, D.E., Goodman, B.A., Russell, J.D., Thomas, M.F. (1988) A Mössbauer Effect Study of the Mineral Macaulayite. Physics and Chemistry of Minerals: 16(1): 73-77. Vignola, P., Rizzi, A. (2018) Macaulayite della cava Laghetto, cuasso al Monte (Varese): secondo ritrovamento al mondo. Micro, 16, 2-2018, 106-108. Wilson, M.J., J.D. Russell, J.M. Tait, D.R. Clark, and A.R. Fraser (1984): Macaulayite, a new mineral from north-east Scotland. Mineralogical Magazine, 48, 127-129.